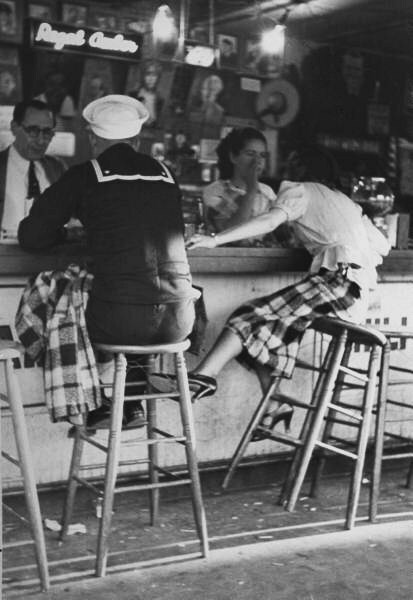 A sailor on shore leave sitting at a soda fountain with his girlfriend. Photograph by Peter Stackpole. San Diego, California, 1937. Dude, chick’s keelin’ over, eh.